We offer high performance software solutions for underwater data analysis, ranging from real-time image segmentation to digital asset management. Image and video analysis in real-time. Image databases for collaborative annotation. Underwater image collections are growing rapidly and without the support of a specialized database quickly become hard to manage. saltation's Marine Asset Management System (MAMAS) offers a dedicated solution for underwater image management. MAMAS allows users to browse, annotate, archive and collaborate on your images via web-interface. using camera equipped ROV (Remote Operating Vehicles), AUV (Autonomous Underwater Vehicle), OFOS (Ocean Floor Observation System) and stationary observatories / landers. While the large volumes of rapidly accumulating image data constitute a rich source of information, methodologies to harvest this information are often missing or not up to date since the potential of modern information technology is not used. We employ state-of-the-art adaptive machine learning algorithms. To account for the specific charactistics of OOI, we apply a powerful feature library, integrating feature descriptors from signal theory and cognitive sciences. Our highly optimized code base allows for maximum performance up to real-time processing. With years of experience in software development we can guarantee the highest possible development standards in the industry. 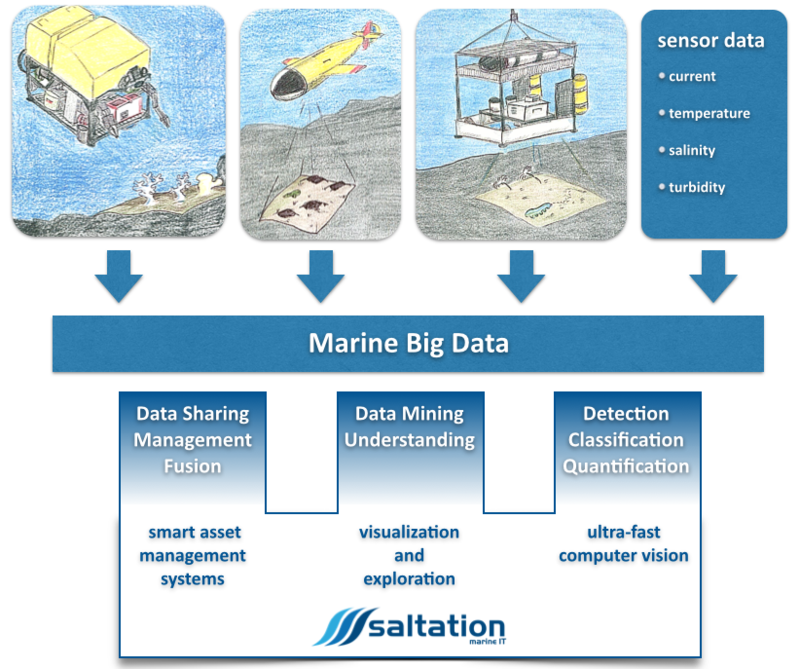 saltation is a young and agile company dedicated to the development of software solutions to overcome the bottlenecks in underwater image analysis. To this end, we combine the efficiency of modern high quality software development with the effectivity of modern algorithms from computer vision and machine learning. saltation caters for clients like Hewlett Packard, TATA interactive, Bertelsmann, Mohn Media, AGFEO and many other companies with custom software solutions and technologies, ranging from firmware and desktop applications to web and mobile applications. 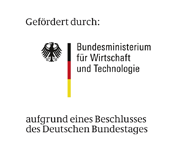 TWN is Professor for BioData Mining at Bielefeld University and started developing new methods for bioimage anaylsis in 1997. In 2006 he was one of the first computer scientists to enter the new emerging field of computational underwater image analysis. His group developed the first web-based image data base system BIIGLE which is currently used by more than 100 researchers around the world to annotate optical underwater images. In his research, TWN has shown how machine learning methods can be used to autoamtically segment cold water corals, characterize shrimp populations, quantify poly-metallic nodules and classify megafauna in deep sea images. One special characteristic of TWN's research is the close collaboration with researchers from various disciplines. If you would like to learn more about our solutions and technologies, do not hesitate to contact us. We will come back to you as soon as possible.